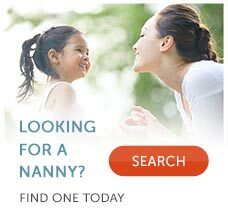 One of the questions most frequently asked is what kind of nanny pay should be offered. It's an excellent question, but tough to answer in brief, because many variables come into play when considering nanny salary. Nannies may earn minimum wage to $18 or more per hour. Many factors are taken into consideration when determining nanny wages, such as experience level, amount of schooling/education and whether a nanny works in a large urban area or a smaller suburb. Nanny salaries should always be quoted in gross terms (before taxes are taken out). Nannies are not independent contractors but are employees of the parents for whom they work. Nannies are protected by the Fair Labor Standards Act. They are entitled to be paid at least minimum wage for each hour worked, and live-out nannies, as well as live-in nannies in some states, are entitled to overtime. Whenever there are two or more minimum wage rates (for instance, some municipalities like San Francisco are higher than California), the highest wage rate applies. Domestic workers in Georgia, Arkansas, Wyoming and Minnesota, for example, are still entitled to the higher federal rate of $7.25 (2012) and an employee in Los Angeles is entitled to the higher CA rate of $8.00 (2012), according to Tom Breedlove of Breedlove & Associates, a household payroll and tax firm. You may also wish to review the annual nanny salary and benefits survey put out by the International Nanny Association to determine average nanny wages. According to the 2012 International Nanny Association Nanny Salary and Benefits Survey, on average, full-time nannies in the United States earn about $700 gross per week. Find out more about the legal tax responsibilities of being an employer. What does the nanny's salary and benefits package include? The nanny's salary should include pay for each hour worked, plus any overtime pay, as applicable by law. It should also include federal and state tax deductions as required by law. Typical standard nanny benefits include paid vacation, sick days, and full or partial contributions to health insurance. What special skills, training or qualifications does the nanny have? All nannies should have CPR and first aid training, does your nanny have additional certifications? Does she hold lifeguard certification? Is she credentialed through the International Nanny Association? Does she have a background in early childhood education? Does she have experience working with a specific family situation, like with multiples or children with allergies or special needs? Does she have extensive experience? Are her duties above and beyond that of a traditional nanny (do they involve homeschooling or housekeeping)? If so, the nanny is likely to be on the higher end of the pay scale. Maybe you really like the nanny and she's well qualified, but her salary requirements are out of reach. It's time to get creative! Many families make other arrangements that are just as satisfying for the nanny. Since contributions towards health insurance premiums are considered non-taxable income (neither the nanny nor the nanny employer has to pay taxes on those designated dollars), for example, they'll offer full health insurance coverage in lieu of a higher hourly rate. A membership to the family's health club or contributions towards professional development, for example, may also sweeten the deal. If you start off the relationship with honesty and open communication, you'll lay the groundwork for a good relationship for many years to come. Email us directly if you have any questions or need help at info@enannysource.com..